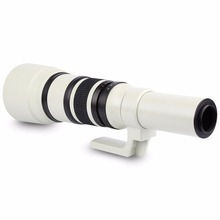 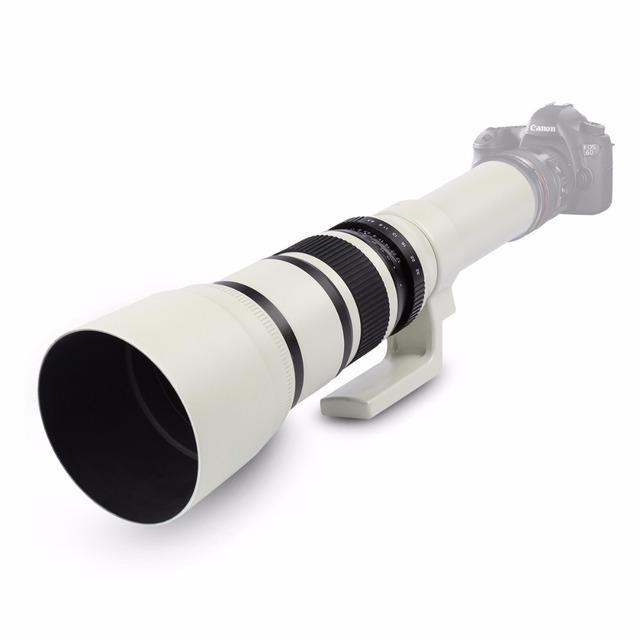 Given it amazing power, this affordable 500mm telephoto lens is perfect for nature, sports shooting. 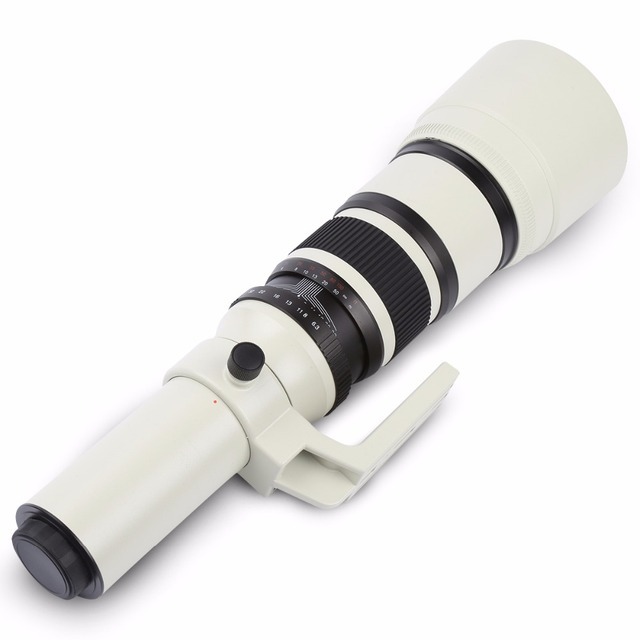 When combined with the included T-mount to fit your camera, this super telephoto works on both “full frame” cameras as well as the “APS-C” style digital SLR cameras. 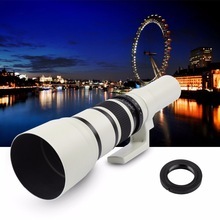 You can use the lens in “M” manual exposure mode or “A” aperture-priority mode only. This lens’ sophisticated achromatic refractor design yields images with pleasing peak contrast and well controlled flare. 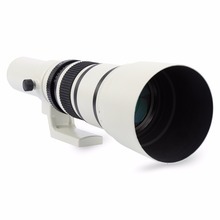 It can be used at maximum aperture on a very bright day for some images of moving subjects. 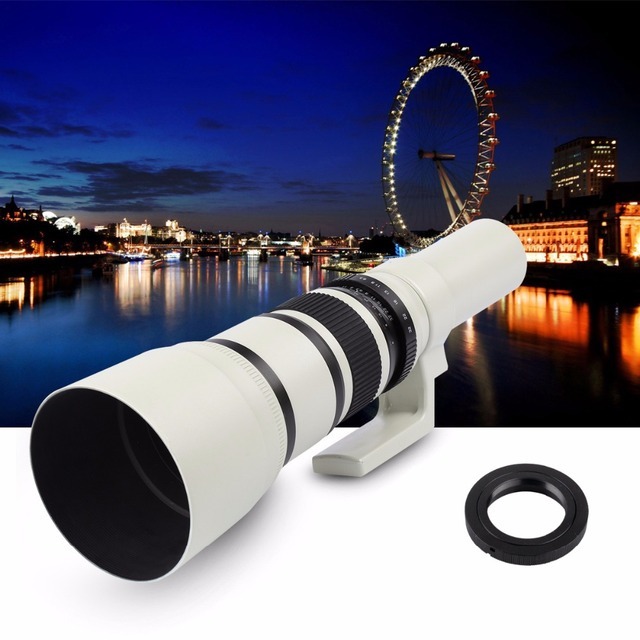 Its enhanced optical design consists of 4 lens elements in 4 groups with minimal glass-to-air surfaces. 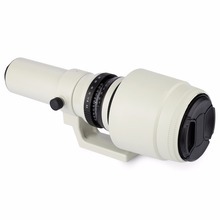 The physical design also incorporates a tripod mount and removable lens hood that helps to minimize lens flare and ghosting.